On Wednesday, King Mohammed VI and King Felipe VI of Spain met and held talks in Rabat. Morocco's Princess Lalla Meryem and Queen Letizia of Spain with Seconde Chance schoolchildren. 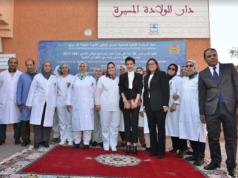 Rabat – The next day, Moroccan Princess Lalla Meryem, King Mohammed VI’s eldest sister, and the Spanish queen, Letizia toured a Moroccan school in Sale. Princess Lalla Meryem, Chairwoman of the National Observatory of the Child’s Rights (ONDE), and Queen Dona Letizia of Spain visited today Seconde Chance school in Sale. 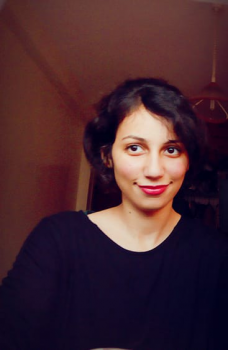 During the school visit, considered a “lever for inclusion and social justice for equitable development,” the ONDE executive director, Lamia Bazir, lead a presentation on measures to improve access to education for children. The presentation also discussed non-formal education programs at the Second Chance school as a means to reintegrate school dropouts in line with the country’s “Cities without street children” initiative. The school’s informal program helps children smoothly complete their professional and entrepreneurial careers. 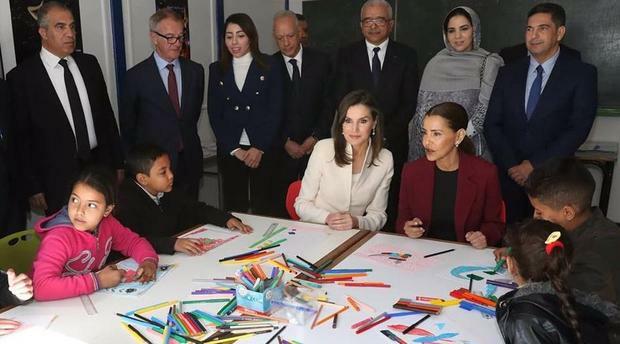 Touring the school, Princess Lalla Meryem and queen Letizia met with children in artistic, practical, and educational workshops who shared their experiences at the school and how they had successfully completed their programs, reported Maghreb Arab Press (MAP). In honor of the two royals, the school children organized an artistic stage performance and posed for pictures with the Lalla Meryem and the Spanish queen. The Moroccan Minister of Education, Said Amzazi and the wali of the Rabat-Sale-Kenitra region, Mohamed Mhidia. King Felipe VI of Spain and his wife, Queen Letizia, arrived in Rabat on Wednesday at the invitation of King Mohammed VI. The official visit paves the way for closer ties and stronger bilateral cooperations between the two neighboring countries. 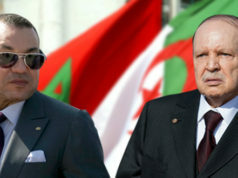 It signifies the “depth and quality of bilateral ties thanks to the shared will to foster the multidimensional strategic partnership uniting the two neighboring and friendly countries,” said the Moroccan Ministry of Royal Household, Protocol and Chancellery. 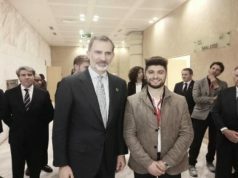 After King Mohammed VI and King Felipe VI held talks on Wednesday evening in the presence of Moroccan and Spanish government officials, the monarchs witnessed the signing of 11 agreements on several issues including energy, culture, security, and trade.